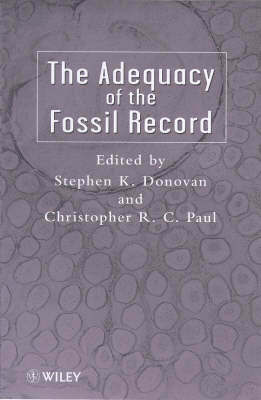 This is an up-to-date review of the adequacy of the fossil record and its utility, providing an examination of the role and use of evidence in palaeontology. Leading authorities contribute review chapters on specific topics, assess the strengths and weaknesses of fossil evidence and provide essays on the research methodologies of research palaeontologists and their scientific results. The first eight chapters are concerned largely with broader issues of theory and interpretation. The next five chapters discuss particular fossil groups which are chosen to illustrate how the concepts of completeness and adequacy are influenced by variations in skeletal form. This is a volume on the fundamental structure of a major research discipline, offering systematic discussions of the fundamental basis of paleontology. The topic should be of interest not only in palaeontology, but also in evolutionary studies, biology, and comparative anatomy.